The Delmar Riney Art Gallery is located in the Riney Student Center at Pratt Community College. The hours are Monday – Thursday 8 a.m. – 5 p.m. and Friday 8 a.m. to 1 p.m., or by appointment. For more information about the gallery or to make an appointment, please call (620) 450-2184. 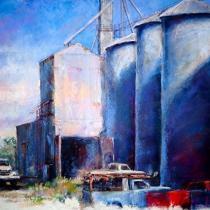 For more information about the Kansas Art Guild or to contact them, visitwww.kansasartguild.com. If you would like to be considered as a “Featured Artist of the Month” in the Delmar Riney gallery, send your name, contact information and a brief description of your artwork to Pratt Community College, Vice President of Students/EM, 348 NE SR 61, Pratt KS 67124 or [email protected].